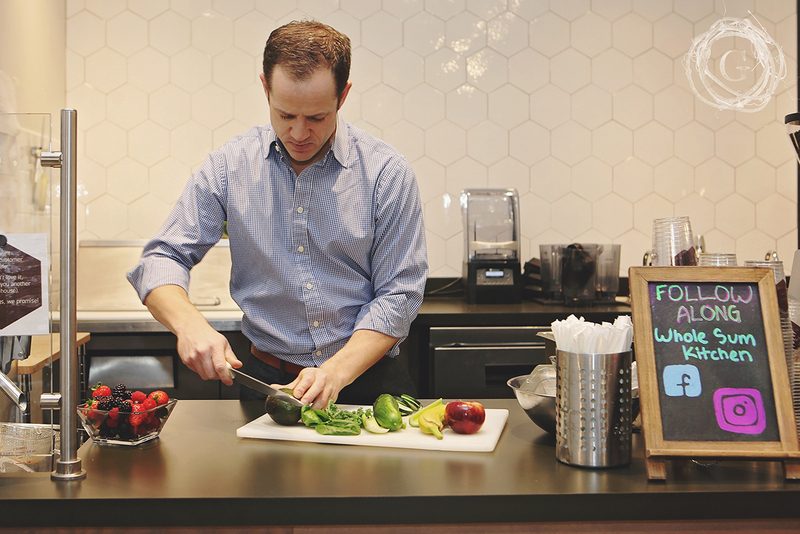 Evan Tepper is the owner and CEO of Whole Sum Cafe + Juice Bar and we had the pleasure of visiting with him about this new entrepreneurship adventure he is on. With a degree in business from St. Thomas, Evan moved through the ranks year after year, landing a well connected position analyzing data for law firm productivity. And yet, lurking in the shadows of his heart was a dream to travel the world. It sounded like one of those dreams that you just hold close to you because you know you want to, but it will never happen…right? Well Evan made it work. He went in and talked to his boss. He admitted that at this point in his career, he wanted a position where he was able to utilize all his gifts, talents and unique skills. Through discussion and creative planning, Evan was able to take a sabbatical for over a year and work for his company as a special contractor one week a month, wherever he was in the world. And travel the world he did. Evan spent 9 ½ months on Southeast Asia, 1 month in China, 9 weeks in Nepal and India, 5 ½ months in Southern Africa. While traveling, he made a list of a variety of businesses to start. Cause who doesn’t do that when they are out seeing how the rest of the world lives, works, does family, rest, eat and drink? The system of fresh food being available and utilized is one that stood out in stark contrast to the way America does food. He had a desire to bring that freshness, philosophy and practice of eating clean food back home. Specifically to the midwest. 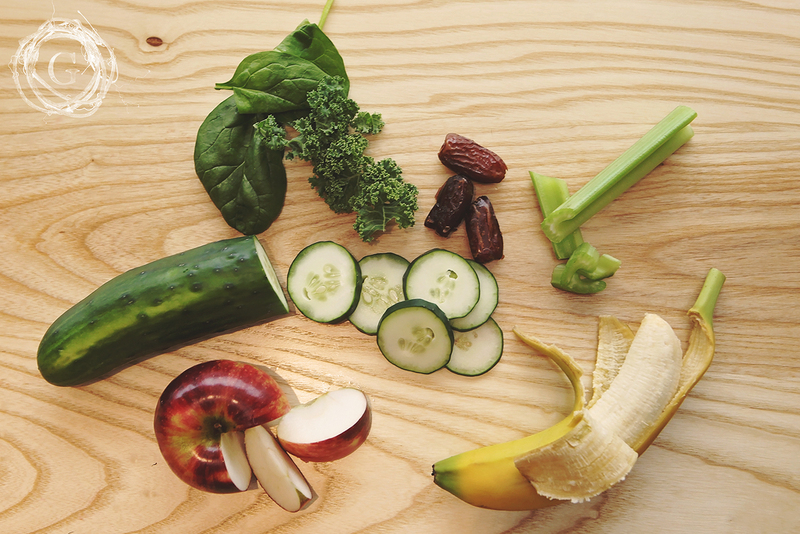 Juice bars are a bit of a craze on the US coasts, but here in MN? We definitely seem to prefer our coffee and beer! Yet, here Evan here is, with a sound mind for business and a heart for health opening “Whole Sum Cafe + Juice Bar” and “Whole Sum Kitchen”. His location in South Minneapolis is a welcoming space where good business meets respect for the human body and the earth. In the cafe you are greeted by clean lines and open minimalist energy, local art and designers, and a menu that will make you wish you could order one of everything. Let’s talk about this menu for a moment shall we? Clean. Fresh. Diverse. Real. Aromatic. Bright Flavor. NO Sugars, Additives or Concentrates. When it was time to order, I struggled to choose simply one beverage. An avid coffee drinker, I knew I had to relinquish my habit for the inviting rejuvenating choices of a juice. I stood there for many moments, having other customers wait on me. Mint. Ginger. Orange. Apple. Cucumber. Kale. A bounty of choice, and me with a desire to taste them all. I settled on the Porto and was not disappointed. It’s vibrant green color, light and refreshing taste. In the beginning of December with winter settling on us, I sipped on a cup of long summer days. Its was the perfect shot of vitamin D to bring the warmth back to my cheeks. Ah! As soon as I finished my juice I wanted to stop our conversation and try another one. They draw you with their subtle sweetness and leave your body satisfied and energized. Not only do they do they serve juice and coffee, but they also host Juice Cleanses. They prepare all the juices you need, all have to do is come and pick them up. Right now they have cleanses from 1-4 days in length. 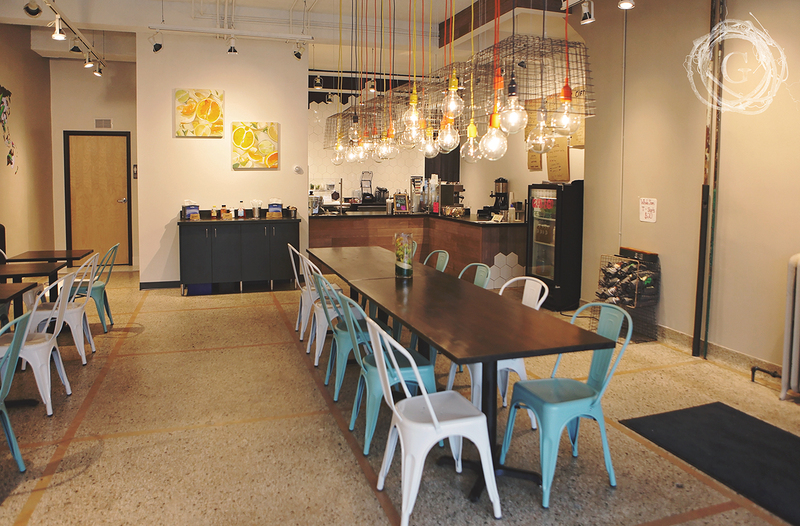 The beauty of Whole Sum Cafe is its ability to be specific yet comfortable and approachable. No written or underlying dress code. Yoga pants, dress pants and sweat pants alike are welcome. Those who know the health benefits of clean eating and those simply looking for a great beverage can all find what they are looking for at Whole Sum. This mobile local Juice Truck that found itself all over the Twin Cities these last two years, is now a Brick and Mortar store over on 50th and Bryant in South Minneapolis! This charming little shop has just officially opened its doors! Be sure to plan a stop by and say hi to Evan and his team, support a new healthy owner operated business in the Twin Cities and enjoy their healthy juices and delicious coffee. Thank you so much Evan for not only sharing your story, but creating this beautiful space that was missing in our lives before you made it happen! I am so excited to for your adventure, for your openness in allowing us to come along and the wisdom and heart you have for health and wholeness!